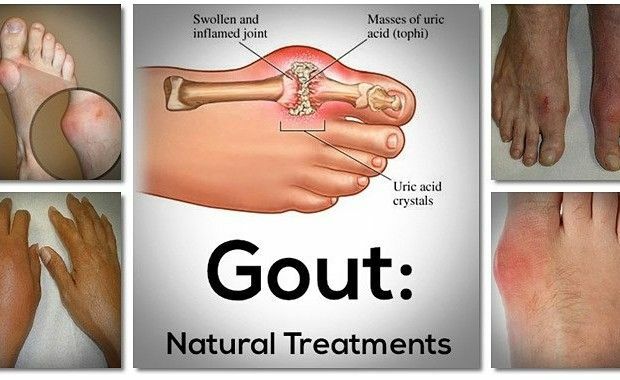 Gout is a very painful disease and is caused by deposit of uric acid crystal in the joints of a body. Uric acid crystals can also be termed as salt deposits. The deposition of uric acid crystals result in inflammation in the joints and can give a abnormal looking joint the affected area especially the foot and toe. There are many factors that promotes the formation of uric acid in body. Take 1 tsp crushed sweet bay leaves in a pot of boiling water and let it boil for 5 minutes. Strain the Pour the prepared bay leaves tea in a jar and keep it aside for 24 hours. Strain the tea and take it in morning in small quantity that is sip by pip throughout the day. Do not take the bay leaves tea in one go you should take it in intervals always. Drink the tea for three days continuously, also you should ensure to prepare the fresh tea everyday. You can take the bay leaves tea again after a week to see good results. You will have frequent urination an that is a good sign because this preparation will drain all the excess uric acid from the body and has strong diuretic properties. The salt deposits in your body will flush out from your body and will detox you. The tea is also used for treatment of gall bladder stones in your body. Mix 1/2 teaspoon of baking soda in in 8 ounce of water and drink it. Take the drink the few times a day to the maximum of 3 teaspoon in a day. Baking soda with water water very effectively gives relief in gout pain very quickly. Reduce the dose of baking soda as the pain feels to go away. However baking soda must not be used for people with high blood pressure as it may shoot up the blood pressure levels if taken in large quantity. Soak one Aspirin tablet in povidone-iodine solution and apply the mixture in a gauze and place it over the bunion. Aspirin and iodine when mixed together give good result in treatment of gout / bunion and joint pain as well. Simply mix equal part of lemon juice povidone-iodine solution and heal the aching joints with this ointment prepared. Beet root juice helps in stimulating liver to cleanse bile ducts and stop uric acid deposit in body. Apple cider vinegar proves to be a very good remedy for gout treatment. Mix 1-2 tablespoons of apple cider vinegar in 8 ounces water, and drink the liquid sip by sip throughout the day. Apple cider vinegar make the body alkaline and can reduce the maximum pain that is caused due to gout in a couple of days. Use only organic Apple cider vinegar for the remedy. Ayurveda, Diseases ayurvedic home remedies, gout treatment. permalink.